I attended a workshop yesterday with Natalie Rousseau Horscroft from Pacific Elements Yoga called Taking the Seat of the Teacher: A Master’s Class for Yoga Teachers & Aspiring Yoga Teachers. Honestly I wasn’t expecting much because I was not familiar with Natalie at all or her style. Sometimes low expectations turn into the sweetest surprises though. I LOVED the class. I LOVED her teaching style. I came away feeling inspired and recharged both about my own personal practice and my teaching practice. One of the best pieces of advice that I have been given in regard to teaching yoga is to “find my own authentic voice”. My teacher training instructors talked a lot about this and it was mentioned numerous times yesterday too. I have heard many teachers say that the best classes come from being a conduit of yoga. Don’t over think the class. Just relax and let it come through you. Less brain. More intuition. Natalie’s style is lovely. She is a great storyteller and weaves traditional Indian tales into her class as she guides students through postures related to the stories. She has a good sense of humor and brings a huge amount of yoga philosophy into her teachings without sounding too wordy or academic. And…. she introduced me to a new posture which I LOVED. 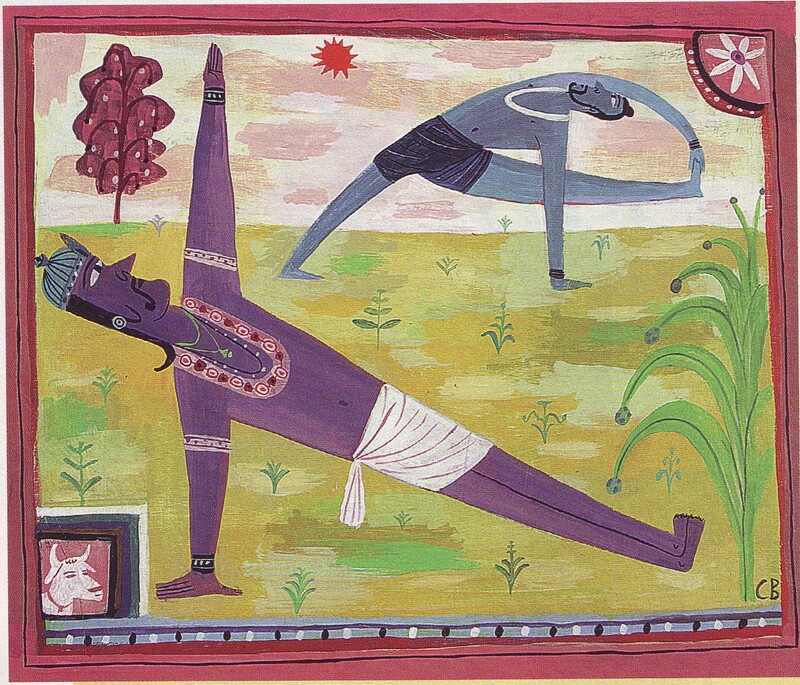 Vishvamitrasana. Natalie credited her instruction heavily to the work of Christina Sell, mentioning this article as a source. I was completely enamored with the posture. It opened me up in so many places and felt beautifully balanced while also giving me a huge amount of space to work on refinement and expansion with the posture in my own body.